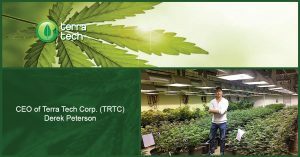 Terra Tech Corp. (OTCQX: TRTC) operates through multiple subsidiary businesses including: Blüm, IVXX Inc., Edible Garden, MediFarm LLC and GrowOp Technology. Blüm’s retail medical cannabis facilities focus on providing the highest quality medical cannabis to patients who are looking for alternative treatments for their chronic medical conditions. Blüm offers a broad selection of medical cannabis products including; flowers, concentrates and edibles through its Oakland, CA and multiple Nevada locations. 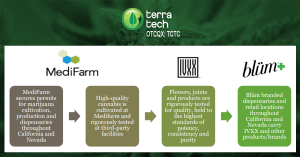 IVXX, Inc. is a wholly-owned subsidiary of Terra Tech that produces medical cannabis-extracted products for regulated medical cannabis dispensaries throughout California. The Company’s wholly-owned subsidiary, Edible Garden, cultivates a premier brand of local and sustainably grown hydroponic produce, sold through major grocery stores such as ShopRite, Walmart, Winn-Dixie, Raley’s, Meijer, Kroger, and others throughout New Jersey, New York, Delaware, Maryland, Connecticut, Pennsylvania and the Midwest. Terra Tech’s MediFarm LLC subsidiaries are focused on medical cannabis cultivation and permitting businesses throughout Nevada. The Company’s wholly-owned subsidiary GrowOp Technology, specializes in controlled environment agricultural technologies. In September 2015 TRTC announced their subsidiary, Edible Garden, has received their Global Food Safety Initiative (GFSI) certification at their flagship New Jersey hydroponic farm. GFSI is an industry-driven initiative and a worldwide-accepted standard of the best food safety management practices providing guidance on food safety management systems necessary for safety along the supply chain. The certification assesses standard operating procedures, good agricultural practices and good manufacturing practices. Edible Garden has put into action the operational protocols necessary to meet the high standards for food safety required by GFSI. Also in September, TRTC gave an update on the continued expansion and development of Blum ™ and MediFarm in Nevada. Today, Terra Tech’s subsidiary, MediFarm, received approvals from Unincorporated Clark County for two Land Use Applications for medical cannabis dispensaries to be located at 1130 East Desert Inn Road and 3650 South Decatur Blvd. The Company has already received a provisional operational certificate from the State of Nevada Department of Health and Human Services Division of Public and Behavioral Health on 11/3/2014. MediFarm was ranked sixth and seventh out of approximately thirty-seven County dispensary applications received by the State. The marijuana industry has been experiencing rapid growth in recent years with 18 U.S. states now authorizing cannabis for medicinal purposes and Colorado and Washington now legalizing recreational marijuana as well. In 2011, the medical marijuana industry was valued at near $2 billion. 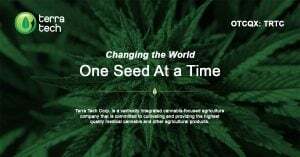 Terra Tech Corporation has not only penetrated the marijuana industry with its full line of indoor horticulture products, but also has clients large and small that utilize their commercial line of products in the growing indoor agriculture industry. 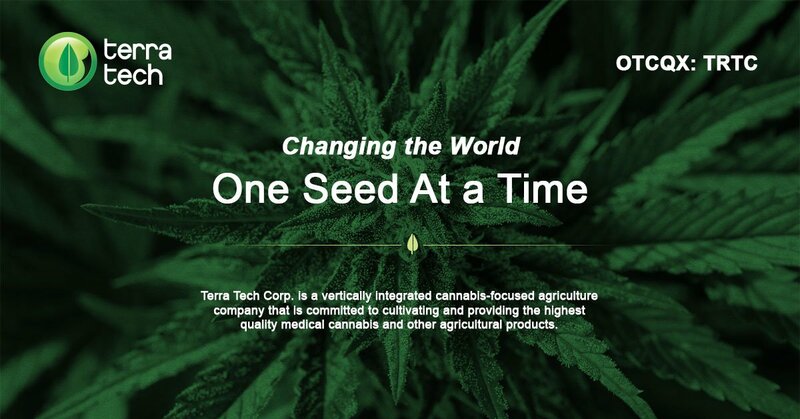 Terra Tech has been the focus of articles and news videos on the industry published by Fox Business’ “The Willis Report,” CTV (Canada’s largest news network), The Huffington Post, The Exchange (featured on Yahoo Finance) and MarketWatch.com, a Wall Street Journal property, amongst other publications. In December, Terra Tech signed a Letter of Intent to acquire NB Plants, a 116-acre New Jersey hydroponic farming operation, and its brand “Edible Garden;” entering the $20 billion fresh produce market. The NB Plants products are sold in more than 120 major grocery chains throughout the Northeast. Terra Tech’s executives have decades of experience at major financial institutions and other organizations, including Smith Barney, Wachovia and Morgan Stanley. Additionally, the team includes a LEED Accredited Architect to manage commercial projects. Terra Tech has about 82 million shares outstanding. At 42 cent per share, that equates to a market capitalization of only $34.5 million. 18101 Von Karmen, 3rd floor.